Article II, Section 1 of the United States Constitution establishes executive power vested in a President. Presidential directives are the mechanism through which the president prescribes the conduct of business in the executive branch. Executive Orders may be administrative (establishing new offices within the executive branch) or policy-setting (President Roosevelt's executive order requiring the internment of American citizens of Japanese ancestry during World War II). Almost all current executive orders have the force of law. Executive orders beginning in 1862 are numbered, while orders issued between 1789 and 1862 are unnumbered. Proclamations can have significant legal force and effect (declaring emergency situations or invoking the President's constitutional powers as commander-in-chief) or be more celebratory in nature (President Washington's 1789 proclamation declaring Thanksgiving a national holiday). A 1935 act of Congress required the publication of most presidential orders and proclamations in the Federal Register and these cumulate annually in the Code of Federal Regulations Title 3. 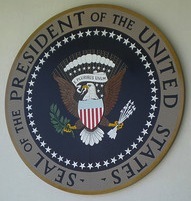 Wellesley has presidential orders and proclamations in various locations. Use the following table to find what you need. March 4, 1929 to March 4, 1933 Proclamations and Executive Orders Herbert Hoover Clapp Docs J 82 D5 2 vols. Presidential Executive Orders Numbered 1-8030 (1862-1938). List and Index. Clapp Docs J 80 A73 2 vols. Clapp Docs J 81 C79 1989 and online. Subject arrangement of proclamations and executive orders issued between April 13, 1945, through January 20, 1989 (Truman through Reagan). Arrangement is in 50 chapters corresponding to the 50 titles of the Code of Federal Regulations. The text includes all amendments which were in effect on January 20, 1989. 1933 to present. Contains executive order number; date of signing by the President; Federal Register volume, page number, and issue date; title; amendments (if any); and current status (where applicable). Listed in previous section. Lists amendments and revocations. Clapp Docs KF 62 1972 L38, Tables IV (Executive Orders) and V (Proclamations). Provides date list which refers to the directive, its corresponding Code section, and whether or not the particular directive has been eliminated. Listed in previous section. Includes disposition tables with the current status. Table 4, "Presidential Documents Affected During ..." includes executive orders and proclamations that have been revoked, amended, or continued. Note that you must look at Table 4 for each year. See the table above for available years. If all else fails, contact the Office of the Federal Register.